Tampa Bay Lightning's Nikita Kucherov (86), of Russia, warms up before the starts of Game 3 of the NHL hockey Stanley Cup Eastern Conference Finals Wednesday, May 18, 2016, in Tampa, Fla.
An American family has named its first child, a daughter, in honor of the Russian ice hockey player, Nikita Kucherov, according to the NHL website. Kucherov is a forward on the Tampa Bay Lightning team. 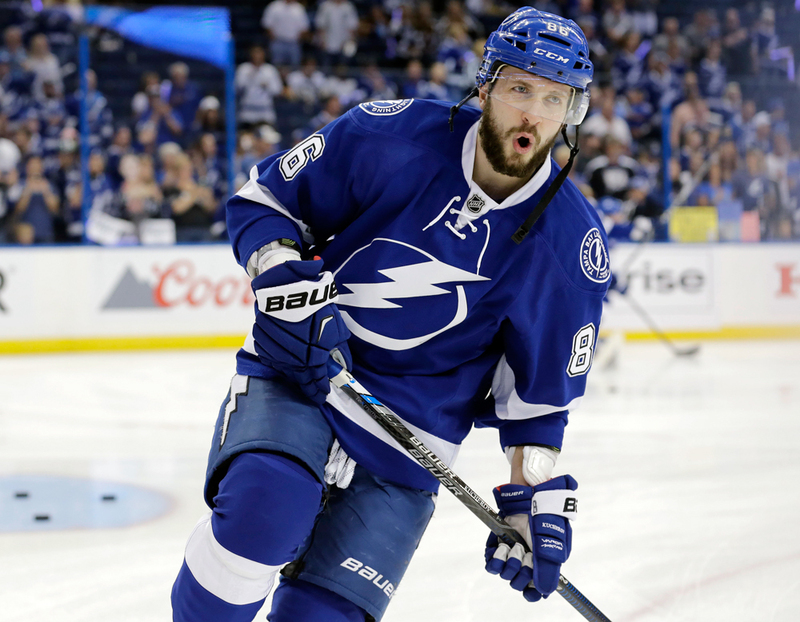 Eric and Laine Franklin, whose first child was born on May 24, 2016 at the Florida Hospital Tampa, decided to name their newborn Nikita in honor of Kucherov. The Franklin family are passionate Tampa Bay Lightning fans. In fall 2015 during a preseason match Laine told her husband that she was pregnant. They decided to name their newborn in honor of the team’s player who would score the first goal. Thirteen minutes into the game against the Florida Panthers Kucherov put the puck behind the Panthers' goaltender. The parents followed through on their promise and named their daughter Nikita. A hospital representative said that Eric and Laine were happy that their child was born on a Lightning game day.